The outcomes have been fantastic, the process well managed and Kimberley’s friendly professional approach, diligence, understanding and helpfulness was thoroughly refreshing – and will be highly recommended by us. Kimberley Martin B.A. LL.B. (Hons), LL.M, TEP is a senior estate planning, commercial, tax and trusts lawyer at Director level. Kimberley works closely with Peter Worrall and Casey Goodman in our Estate Planning practice area of Worrall Moss Martin Lawyers. She also works closely with Peter Worrall and David Bailey in our Commercial and Property Law practice area. Kimberley is experienced in all aspects of Estate Planning, including Wills, Enduring Powers of Attorney, Instruments Appointing Enduring Guardians, trust law and superannuation law. Kimberley is a graduate with Honours of the University of Tasmania, and holds a Graduate Diploma of Legal Practice. She has recently completed her LLM (Masters) in Wills & Estates through the College of Law and was awarded the dux of her class. These studies have given Kimberley a greater depth of understanding about complex aspects of Estate Planning and the different laws that apply in each Australian jurisdiction. It has also resulted in her undertaking work for both personal clients and professional clients (on an agency basis) in Victoria, Queensland and New South Wales. Kimberley is particularly suited to clients seeking an approachable lawyer who can provide personal, independent, confidential and professional advice. Kimberley is passionate about her work, and strives to ensure that her clients understand the importance of estate planning, for them personally, but also for their family and friends. Kimberley won the Law Society of Tasmania’s Young Lawyer Award for 2016, and was a Telstra Business Women’s Awards Finalist for the Corporate & Private Award and the Young Business Woman Award in 2016. She was also a Southern Cross Young Achiever Awards Finalist for the Heather and Chris Chong Community Service Award in 2015. Most recently, Kimberley was awarded Young Practitioner of the Year at the international Society of Trust and Estate Practitioners’ Private Client Awards in London on 7 November 2018. 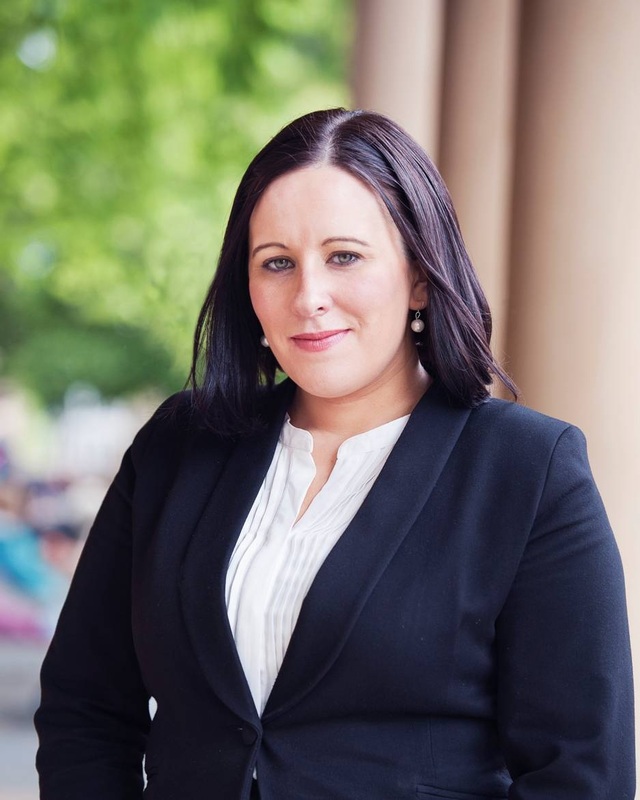 Kimberley is a member of the Law Society of Tasmania, and is also a Full Member of the prestigious Society of Trust and Estate Practitioners (STEP), an international group of members involved in trusts and estates. Through STEP, she is currently a member of the STEP Digital Asset Special Interest Group, a global group that provides an international forum of debate, education and support on digital issues. This group has members from Australia, the United Kingdom, the United States of America and Canada. She is also a Member of the prestigious, and by invitation only group, Women Chiefs of Enterprise International. Kimberley was recently appointed a Director of Montagu Community Living, a not-for-profit organisation that provides quality services and support to children, young people and adults with disability. Established in 1990, Montagu Community Living exists to provide quality services so that people can live a valued and meaningful live and remain connected to their chosen community. Kimberley was, until 26 July 2017, a Director of the Glenorchy Community Fund, a perpetual philanthropic fund established to benefit and strengthen the community of Glenorchy for present and future generations. During her time as Director, and as Chair of the Governance Committee and deputy Chair of the Board, Kimberley assisted with the transition of the Fund to a corporate structure, and was the driving force behind the organisation establishing its own charitable trust structures. Kimberley is a regular presenter to community groups and other professional groups both in-house and externally. She has been interviewed in print and on radio, including the ABC 7:30 program, the Age and the Sydney Morning Herald. She is a strong contributor to the articles that appear in the Worrall Moss Martin Lawyers’ publication Estate Planning News Tasmania, and has been published as a co-author in the international journal of the Society of Trust & Estate Practitioners (STEP). A selection of professional papers, text books and articles that Kimberley has authored or contributed to can be downloaded or purchased (where applicable) from this website. Clients or other lawyers, financial planners, or accountants seeking to instruct or refer to Kimberley may contact her by the contact details and options on this page.